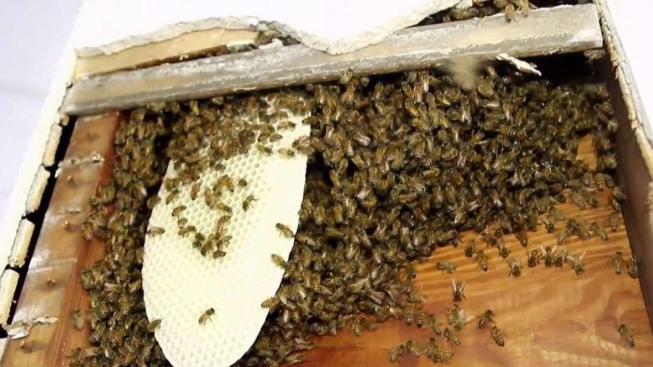 Thousands upon thousands of bees were found living in the walls of the former NYPD detective who was the department's beekeeper while he was on the force. The former detective, Anthony Planakis, also known as "Tony Bees," says he knew he had a bee problem at his Floral Park home but didn’t realize how bad it was. Planakis called an apiarist, who used thermal imaging and a fiber optic camera to find a massive colony living in the bedroom wall — 70,000 bees in all. An impressively large hive was also found in the wall. The bees were collected with a vacuum cleaner and safely removed to a beekeeper in Locus Valley. Planakis retired from the force in 2014; he was the sole voluntary beekeeper and has said he decided to leave after being accused of keeping the bees he removed to stock his own backyard hives, he has said.